Join the #reefsafe revolution. 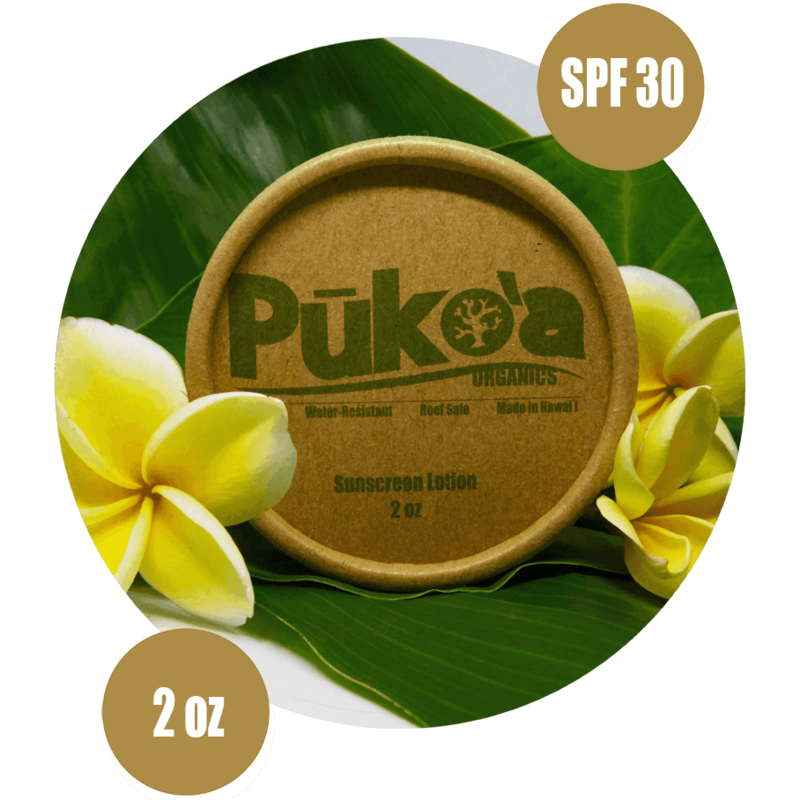 Pukoa Organics Reef Safe Sunscreen lotion is suitable for any activity and is water resistant because of our locally sourced bees wax. 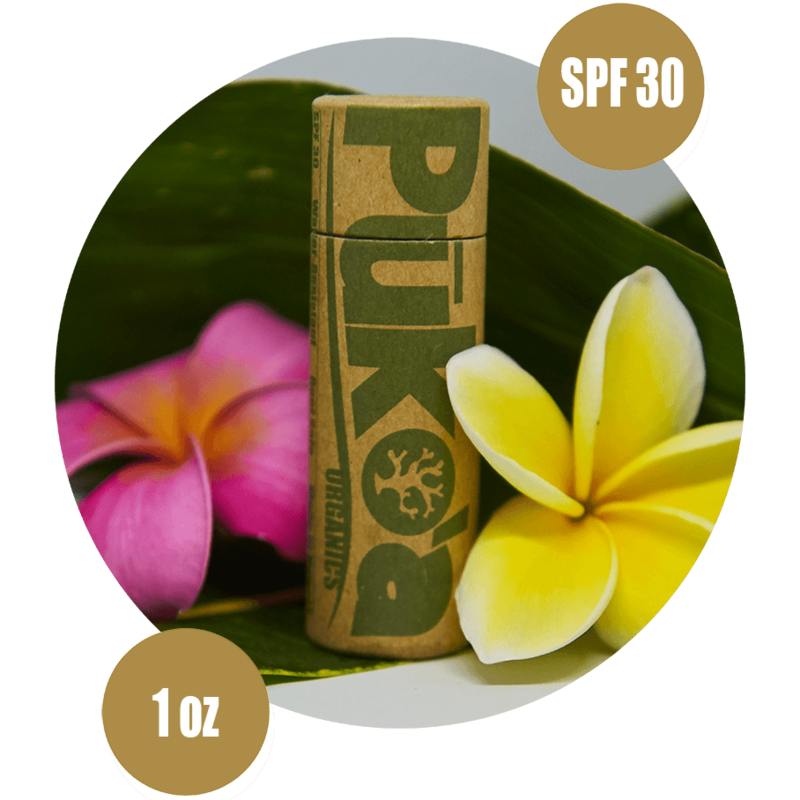 Hand made in a biodegradable container.The Face stick contains more bees wax and will stay on your face longer in the water or when you are sweating! Great for those long surf sessions.